South African President Cyril Ramaphosa says public representatives will undergo “lifestyle audits” as part of his campaign to clean up the government. Ramaphosa said Tuesday that the scrutiny will start with the executive branch, and that he was heartened to hear that the national police commissioner announced a similar plan for the “high echelon” of the police. 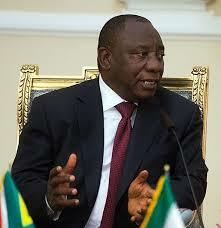 Ramaphosa spoke in parliament as part of a debate process following his first state of the nation address Friday. The former deputy president took office after the resignation of Jacob Zuma, whose tenure was marred by scandals. The new president says authorities will target tax evaders and corruption in the private sector.